Earlier this week, I was invited to a very impromptu media tasting for food bloggers. It was at a small-ish new restaurant in the OC and they really wanted to get the word out about their soft opening next week. On a whim, they put together a media lunch and I just happened to be down there at the same time. While they didn’t give anyone ample notice — which they readily admit to — they served amazing food with excellent service. A win, right? I didn’t get to eat almost any of it. I had allotted two hours for the event. It was a lunch menu with about three apps, six entrees, three sides and two desserts. Plenty of time to tour the venue, meet the staff, take a few pics behind-the-scenes and try the array of food. The venue was extremely generous, as are most that I’ve attended. They were very interested in our feedback and jumped through a few hoops to ensure everyone, even a vegan among us, had ample options. (I’m unable to eat beef so I was one of those people unable to eat most of the entrees.) It had all the makings of a fun couple of hours. Thing is, after an hour, I still hadn’t eaten…anything. Photos were still being taken, management was running ragged trying to replace the first set of apps with a second because it was too cold to really try, and one hangry person left. Another hour later, I tried a couple of the appetizers and was eyeballing the entrees and sides, with my mind also on the desserts they’d mentioned and that I’d seen behind the counter. Problem was, the entrees were growing cold while three media members continued to take repeated photos. The restaurant staff was a little befuddled: keep replacing food so people can eat? Let us eat cold food? I overhead them talking and I felt bad. I’d long stopped taking photos and was munching on the remaining apps, feeling bad for the staff who was at a loss as to what to do. Shortly after, one of the food bloggers walked out. “Gotta get back to work, I don’t have time to wait anymore so I’m heading for a drive-thru.” Management offered him a free meal some evening. Will he come back? Who knows, he didn’t give a long response beyond a shake of the head and an odd smile. So what happened? How did things go so awry? Here are my feelings on the event and how it can be avoided in the future. To be fully clear, this is a lifestyle blog, not just about food. 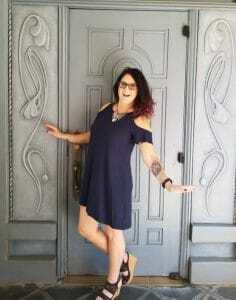 I have done a lot of foodie events though and I still do them regularly. I’ve had my rough events in the beginning, once when I <gasp> used flash that I thought I’d turned off and got schooled very quickly by a rude man on how I should never, ever use flash when in public. (Food often doesn’t display well with flash. Natural light is the best, but in the absence of it, we use various lighting equipment to mimic natural as much as possible.) Another time, I spilled a plate of food trying to take a downward photo. Embarrassing. Based on this event, with the permission of this location (with the requirement that I not tell anyone the name of the place), I’m sharing what happened, along with things to keep in mind to make a media event pleasant for all food bloggers involved. Rule of thumb: while you’re there to photograph and try the food, in order to tell others and present it as accurately as possible, it’s also about the experience. I am used to waiting to take pics and sharing plates, but I want a feel for the restaurant. I want to sit down and get an idea of the ambiance. When I write about food from a venue, I share what the restaurant looks like, what type of atmosphere and vibe it gives off, what the food smells like….not just how it tastes. Some of the ugliest food tastes the best so photography is only one part of the big picture. The look of the food is only one part of the purpose. While some are there only for Instagram photos or Snapchat stories, most are there to write about the food and they need all of the pieces to fall together to do their job right. Because I do a blog post AND social shares, I could not do my job right at this latest event. What could I write about? 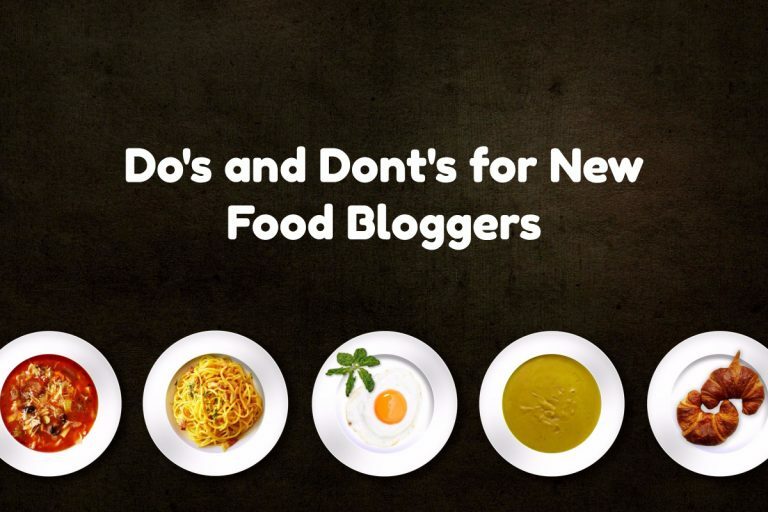 With that in mind, one of my biggest tips to new bloggers is to keep in mind that usually the only benefits to attending is the ability to share good content AND eat the delicious food. Cold food is not delicious, unless it’s meant to be cold. While you’re taking 30 minutes to photograph a plate of mac and cheese, it’s congealing and a hungry media attendee isn’t able to actually eat the food and tell people what it really tastes like. That photo may be amazing, but people want to know if it’s delicious, if it’s gooey, if it’s creamy, what the consistency of the pasta is like, etc. You can’t tell that about cold food, so by the time I try a cooled plate of mac and cheese, it doesn’t taste good. Am I doing that restaurant any real favors if I can’t honestly explain the food? No. And I don’t want to drive to a restaurant to take a few photos and eat cold food. Value our skills — all of us — by remembering food bloggers usually don’t work for free, and eating may be the only real payment other than traffic to our website or likes on our Instagram account. You may not want to eat, and that’s okay, but see that hangry guy over there? He does. And he should be able to, especially if it’s lunch or dinner time. That should also be able to happen without ordering a second meal. The restaurant isn’t obligated to provide two sets of everything. There is a cost involved. Our work isn’t free but we also aren’t entitled to a full second set of everything. It’s getting out of hand and needs to stop. No, we shouldn’t just ‘know that this is how it is.’ This isn’t how it is. I’ve been doing this for a long time and 95% of the time, things go smoothly. Photographs are done fairly quickly and we eat, chat and enjoy the restaurant. Speed it up, photographers. You’re not the only one there. If you need more time, ask for a private tasting. Many restaurants will oblige, especially if you show them that your photography is above par and worth it. Yours may very well be amazing but I want to eat the mac and cheese at least warm. No touchy the food if you’re not eating it. Ask for utensils or ask the person who IS going to eat it to move it or ask the staff to replate. If there’s a plate of food made for someone who is unable to eat nothing else, for the love of all things food, leave that food for them to eat. That may just be an app, entree or dessert you don’t write about, or you share a quick photo and a description with a “didn’t try it but it looked fantastic” line if need be. Spin it just like it really is: a plate made for someone with a special dietary need. More than once, a vegan or vegetarian has ended up without eating anything because someone just has to try their plate despite having nine others to choose from. In cases like these, there are typically so many other things to eat that the one thing will not hurt your write-up or blog post in the slightest. We don’t need to eat every single thing in order to do the restaurant justice on social or in a blog post. Things work better when we all play fair. Perfect pictures make our mouths water or they make us hungry, but don’t give up if your photos aren’t perfect. Use proper lighting, show the plate in the best way possible and my personal peeve is no teeth marks. Ewww. (That’s not a dealbreaker for many. It’s just a personal preference.) Some foods are hard to photograph so you may have to settle for realism, because if that’s what it really looks like, then you’re doing your job. You may need to take food to a more well-lit area, but keep in mind that if you take food outside, it cools off a lot faster and then you have that cold food problem again. Food photographs should always have information: what kind of food is it? Tell the reader about it. What kind of mac and cheese? What kind of cheese, or pasta, or spice? Is there meat in it? Be clear on what it’s called, so a reader can go into the restaurant and ask for it. We don’t want to make our readers have to ask what it is and certainly tell them the name and location of the food(s). Marketing 101 — put the info out there so the customer can head there and buy, and make it easy to find, not buried below the fold. Foodie events are partnerships. The restaurant benefits by our marketing on social media, but we benefit by eating. 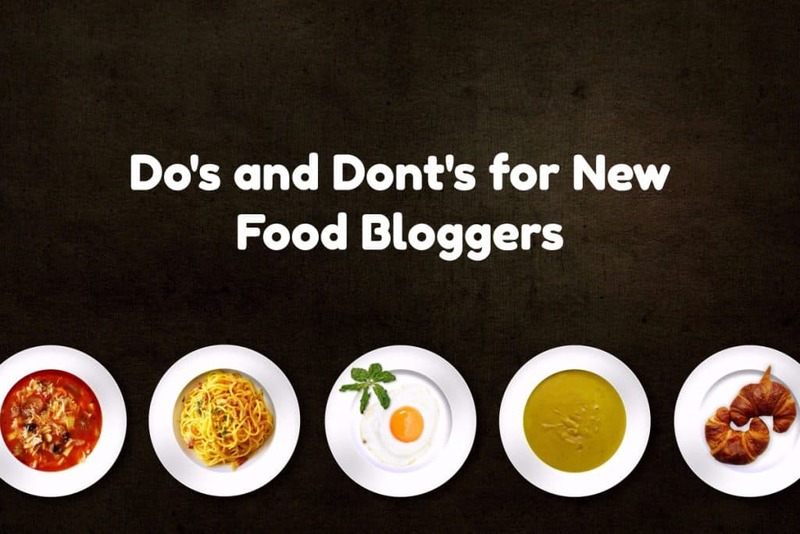 Food bloggers aren’t celebrities, so think twice before you order something just to take a photo. Food wasting isn’t pretty no matter how great your photography is. Great photos may get us Instagram likes, but they should drive traffic to the restaurant, too. Tip. Your waitstaff still needs to get paid for their exemplary service. We aren’t better than the staff either, so being rude to waitstaff is one way to ensure these types of events aren’t held as often. “Don’t you know who I am?” is ugly. Don’t be that person. We need to keep perspective, we aren’t saving our lives and most of our work isn’t going to end up in Bon Appetit or on Foodgawker. Being demanding or forgetting that you’re part of a group…eeps, no. Camaraderie is also cool, too. We’re all there for similar reasons and networking can benefit us all. Food bloggers don’t all need to be best buds but grabbing a plate and running to your table in the corner helps no one, so we do need to work together. Just like taking too long to photograph food, hogging food before photos goes against the process as well. There’s a nice, easy, happy medium if we all remember there are others there all required to do the same thing: photograph and eat the food to share with our readers. Today’s event was probably the worst I’ve gone to in this regard, and I knew no one else there. That’s a first actually. I didn’t hand out business cards. I didn’t even get the name of hangry guy, but I do hope he found food quickly. He’d been drooling over a fancy sandwich, and last I saw it, it was in a corner being used in repeated takes for a Facebook live, looking far less appetizing 45 minutes after it was served. The restaurant invited me back but they were really turned off from doing an event like this again. I think they probably could vet their invited guests and food bloggers a little better with more advanced notice, and they agreed. When I said I was leaving, the manager apologized. I smiled, said no worries, I had a meeting but thank you, what I had was great. It wasn’t their fault and I won’t hold it against them. I will, however, need to eat that ahi salad next time! It is not only with new bloggers. Experienced ones also can be obnoxious with food or with kids getting on the way when you are trying to take pictures of hotels or attractions. I do not believe it is a rookie mistake they just do not have any manners! I had a similar problem at a recent event. The plates were put on the floor outside, then a blogger put it on a table for her to start eating, so those outside got to eat it. Those of us inside, not putting food on the floor, didn’t get to eat any of it, but it was probably really cold by then. People need to realize that the ‘pay’ for these events is food, so don’t mess with it.